At Pollock Lifts we don’t just supply: we design, manufacture, install and service. 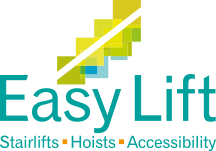 That makes us the complete lift and access solutions company – ready to meet your needs at work or at home. Founded over 30 years ago, we’ve grown to become one of the most respected names in the industry today, employing over 100 staff in our headquarters in Carrickfergus, Northern Ireland and our facility in Stone, Staffordshire. We sell extensively throughout the UK and Ireland, and we export to continental Europe, Australia and the Middle East. In addition, we offer the most extensive through-floor lift and step lift ranges on the market today – which means we’ve got a solution that’s right for you. We’re always keen to expand our network – throughout Ireland and the UK, as well as internationally – so we welcome enquiries from potential partners. We offer a wide and flexible range of options, from supply-only to comprehensive packages – so we’re sure there’s one that’s just for you and your market. Take the next step and contact us today to arrange a no-obligation consultation.